Liberal ministers are warning that the risk of being nabbed for impaired driving will increase "exponentially" this holiday season, while conceding that the new impaired driving law - set to kick in Dec. 18 - is likely to face a court challenge. Liberal ministers are warning that the risk of being nabbed for impaired driving will increase "exponentially" this holiday season — even as they concede their new impaired driving law is likely to face a court challenge. Justice Minister Jody Wilson-Raybould and Border Security and Organized Crime Reduction Minister Bill Blair held a news conference Tuesday to remind Canadians that in two weeks, they will be subject to mandatory alcohol screening if they're stopped by police. "That, frankly, is a game-changer," Blair said. 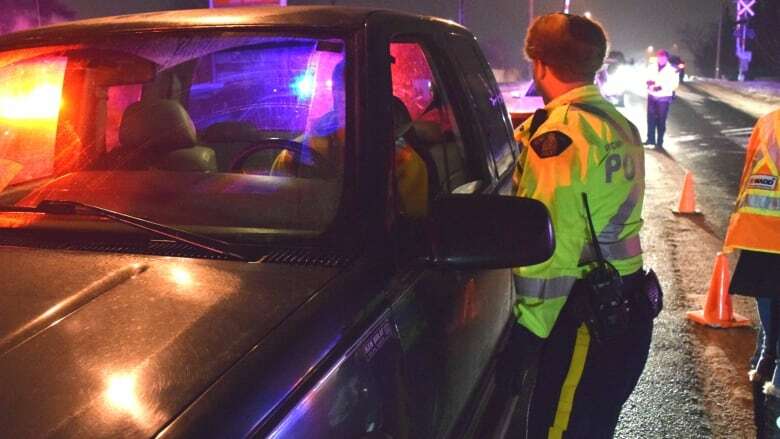 "And what we want all Canadian drivers to understand is that ... should you make the criminal choice to drive under the influence of alcohol or drugs, the likelihood of getting caught is about to increase exponentially because the police have new authorities and new tools to make a determination whether or not that individual has alcohol in their system." Bill C-46 passed in June; its changes to alcohol-impaired driving law are set to kick in Dec. 18. Under the law, police can demand that drivers submit to roadside alcohol screening tests if they've violated traffic laws — by speeding or blowing through a stop sign, for instance — or if they have been stopped during a random roadside sobriety testing program. Drivers blowing over the legal limit give police probable grounds to require follow-up tests that could produce results leading to criminal charges. Before C-46, police could only demand a breath test in situations where they had "reasonable grounds" to suspect impairment — the smell of alcohol on a driver's breath or slurred speech, for example. Blair said that, in the past, too many people have been able to "bluff" their way through the roadside checks and hide the smell of booze from officers. The law has been panned by criminal defence lawyers and others as a violation of constitutional protections against arbitrary detention and unreasonable searches. Wilson-Raybould said she is "100 per cent confident" the new law does not violate the Charter of Rights and Freedoms because its fundamental objective is to save lives. "I suspect that with all legislation, there is the potential to be challenged. I have every expectation that this one will be," she said. "While you celebrate over the holidays, be responsible and set an example," she said. "If you get behind the wheel of your car while impaired, you will be caught." The first part of Ottawa's impaired driving reforms, involving drug impairment, came into force on June 21. Conservative MP Michael Cooper said C-46 appears to be targeting Canadians who want to enjoy a couple of beers with their chicken wings. He said he believes the legislation will face constitutional challenges and called it a "serious infringement" of civil liberties. "The bottom line is it's going to be litigated and that's going to take up court time, and that's a concern given how backlogged our courts already are with cases being thrown out due to delay," he said. Sen. Serge Joyal said he has a "major concern" about the law — that police forces did not have enough time to train on and test the new equipment. "That would open court challenges for anyone who would be arrested with the conclusion that the test might not be reliable," he said. "This is the most significant step I've seen taken in this country, and it's a leap. It's a huge, huge, leap." Thomson's son Stan, 18, was killed in a crash outside Perth, Ontario in June 1999, the passenger in a truck driven by an impaired teen. Four other teens died in the crash.